I’ve officially been blogging a year, and boy have I learned a ton!!! When I started in September of 2017, I committed to being consistent for at least one year. I wasn’t very familiar with blogging…up until that point I hadn’t been a regular follower of many blogs, and I didn’t know anyone who blogged or who had set up a blog. It was ALL NEW TO ME and I knew the learning curve would be steep. You may wonder why I started blogging to begin with. My initial motivation was to create another revenue stream for our family. I wanted one that was flexible and would allow me to set my own hours that would fit into our family schedule. I liked the idea of sharing things I was learning about preschoolers, parenting, and family while also sharing things that came naturally like organization and productivity. Being creative is also something I enjoy, so the graphics and printables side were appealing to me. 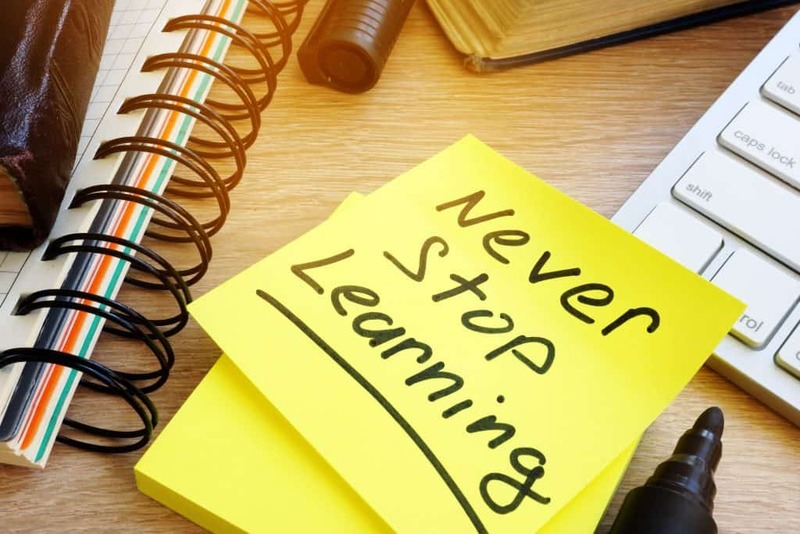 You can imagine that after being in the same career for twenty years and considered a Subject Matter Expert in my field, that starting something new was a bit intimidating. I had zero blogging education and knew enough to be dangerous when I started. Like I mentioned, the learning curve was steep. If you google how to blog, thousands of posts will come up, but not all are reliable resources with proven results. I was laser focused this year and very selective about where I invested my dollars. I did research to find the best and most trusted resources. Blogging expertise combined with proven results is what I was looking for. My goal was to learn from those who had gone before me and that had testimonials of helping others. Here are my top 5 learning resources that I purchased over the past year. I’ve listed them in chronological order. Because I believe in these products so much, I have become an affiliate where possible (only two of the five). With that said, I am still providing my honest review of each. This was the first training I purchased and it was solid gold. I loved that Abby and Donnie walked you through step by step how to set up many of the technical aspects from choosing a domain name and hosting to installing plugins, putting an email list in place, editing photos, and more. They have over 20 tech tutorials. The majority of content was great for a new blogger, while there were a couple of sessions that I went back to after I got further along in my journey. The great thing is that you have lifetime access to the videos. You can’t beat the deal on this bundle. For less than $100 you get access to top-notch resources from a wide variety of bloggers. This year (2018) they have 77 products worth $5,867.88; 41 eCourses, 15 eBooks, 9 printable packs & workbooks, 5 templates, 5 stock photo packs, and 2 membership sites. I purchased my first bundle in October 2017, when I had only been blogging a month. You can imagine with 77 products that it can be a little overwhelming. I paced myself and used the bundle as a resource I would go to throughout the year. My goal wasn’t to use 100%, because even if I only used a few of the products, it was still more value than what I paid. For example, this year, I have personally met 8 of the bloggers that have developed some of these products and their materials alone are a collective value of almost $1,000. But if you buy the bundle, you get it all for less than $100. You see what I mean; you don’t have to use all 77 products for it to be worth the price. The Genius Bloggers Toolkit is only for sale once or twice a year. Click below to learn more. Aside from purchasing my blog’s theme, the next best thing I did was to invest in the Elite Blog Academy by Ruth Soukup. Like I said earlier, there are a lot of people out there saying that they know how to blog, but Ruth is the REAL DEAL! She’s been blogging since 2010 at Living Well Spending Less. In 2014 she established the Elite Blog Academy (EBA). EBA is an investment…meaning it’s not cheap, but it is solid step-by-step advice from a seasoned blogger that has helped many others to become full-time blogging. EBA is focused on all of the details after you have your domain secured, and hosted. She does not get into the technical side of setting up your blog but focuses more on what makes a great and profitable blog. Seriously, my blog would not be what it is today had I not taken this step. EBA 3.0 is comprised of 12 modules. Eight months into it and I’m currently at module 8. In other words, it’s not a quick training resource, but it is a thorough one. Another game changer was doing the List Love Course by Jennifer Maker. 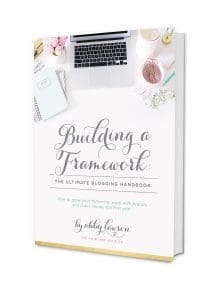 She shares the exact tips and strategies she used to grow her list from 0 to 10,000 in less than six months on a new domain. This course was super helpful in minimizing the learning curve of using ConvertKit for email. She also provides practical guidance on creating things like printables and setting up a resource library. I finished off the year by attending the ACTIVATE conference hosted by Elite Blog Academy. This was HUGE for my extroverted self! I’ve been accustomed to working in an office with a team of colleagues that I could bounce ideas off, brainstorm together, or just connect with. Blogging can tend to be a solo sport. You meet lots of people online through social media, but guards are often up and it’s difficult to build a level of trust. This is the primary reason it was critical for me to do an in person event. 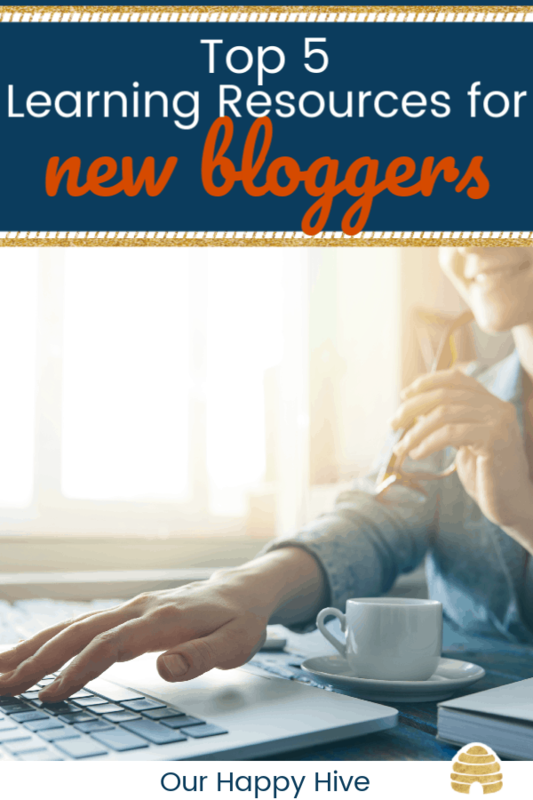 I met so many great people that have incredible blogs in such a wide variety of niches. I attended both the pre-workshop event as well as the main event and it was all fabulous! There were so many experts there to share their knowledge and help each of us grow our business. I loved hearing Kate Ahl of Simple Pin Media talk about Pinterest, Tasha Agruso from Designer Trapped speak about Affiliate vs. Product Creation, Rosemarie Groner from Busy Budgeter share tips on email funnels. The icing on the cake was connecting with a tribe of other bloggers that were in a similar place and just as passionate about moving forward. I learned a ton at the conference, but also made relationships that will continue post conference. The beauty of it all was that I felt like I had known many of the people for years. While the conference is over, they have made the videos available for purchase. You can check out more here if you’re interested! There’s still a lot to learn. In reality, I think we should always be learning. Not just from a textbook, but from others who have gone before us. It’s great when people want to share their knowledge and help lessen the learning curve for you. If you’re considering starting a blog or have recently started one, I highly recommend the above resources. If you have any questions about any of them, I’d be happy to share with you my experience. Feel free to email me at Melissa [at] ourhappyhive.com. Tips for Moms – Reclaiming the Family Life You’ve Dreamed of!